Chef James has returned to the Dunedin/Tampa Bay area to share his culinary delights with the opening of Pisces Sushi & Global Bistro. Many of us remember Chef James from his years at Island Way Grill and, most recently, SPY Global Cuisine. In fact, Chef James brings 25 years of culinary experience with some of the finest restaurants in the Southeast. Chef James attended Sullivan Culinary School in Louisville, KY and began his training under Chef Peng Looi as the Sous Chef at Asiatique in Louisville. Due to his technical precision and artistry James has participated as Sous Chef for Peng Looi at the Epcot Food and Wine Festival for the last five years. Most recently, he was executive chef for SPY Global Cuisine and Lounge in St. Augustine, FL, but he missed our Gulf shores and has returned to Clearwater to fulfill his and his wife’s dream. 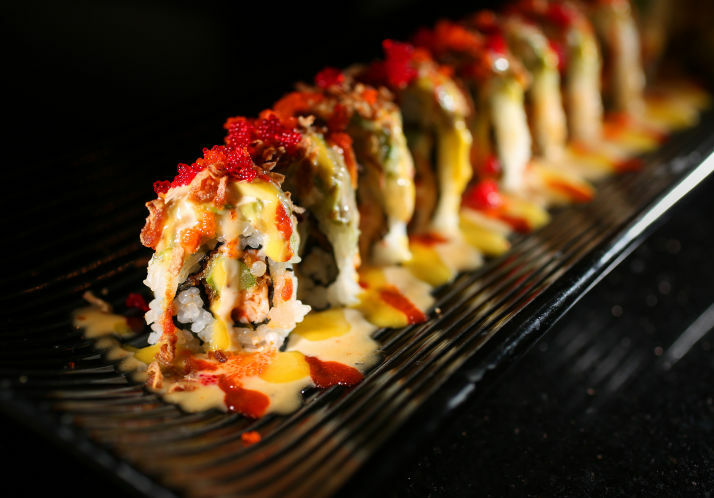 Come sample his creations and give your taste buds a treat – from his original Sushi rolls to his international-themed recipes, such as the Jamaican Me Crazy Shrimp, The Aztec Roll, The Swamp Thing Sushi Roll and his famous Wasabi Cesar Dressing — just to name a few.